Mixed media clay w/arm, Set of 2 girl dolls with cream dresses. Open chest on both. Bloomer pants on both. comes with wood box glass cover. 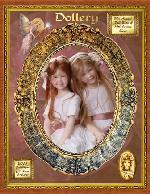 20" laying doll (blond blue eyes) and 12" seated doll (looking in box) red mohair, brown eyes. Laying doll blond mohair, blue eyes. 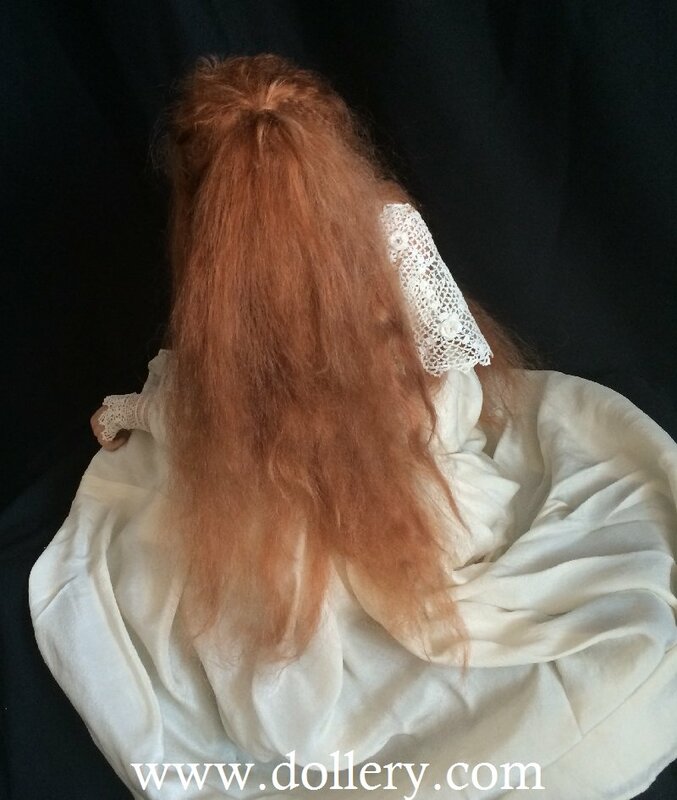 Red mohair, brown eyes seated doll. Includes a cream blanket material.